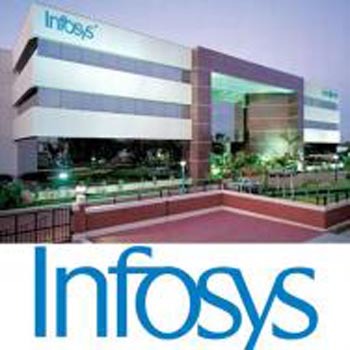 Mumbai - Shares of IT services major Infosys fell five percent in early trade Wednesday amid reports of stock downgrade. The company's stock plunged 4.88 percent to Rs 3,643.25 on the BSE. At the NSE, it was down 4.96 percent to Rs 3,641. The stock was the biggest loser among the 30-bluechips on the Sensex. As per media reports, global financial services major Citigroup has downgraded Infosys to 'neutral' from 'buy'. Infosys will declare its July-September quarter earnings on Friday.